KANSAS CITY, Mo. 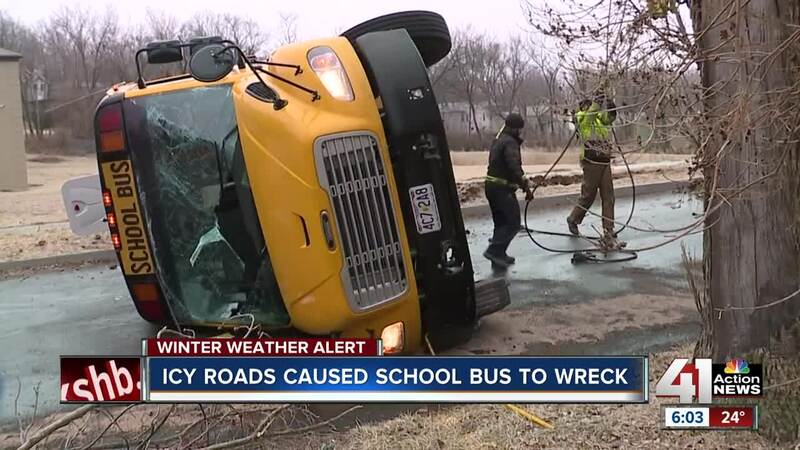 — Icy roads could be to blame for a school bus that lost control and flipped over Wednesday afternoon in Kansas City. First responders were called out just before 12:30 p.m. to the overturned school bus near President Court and Virginia Avenue.